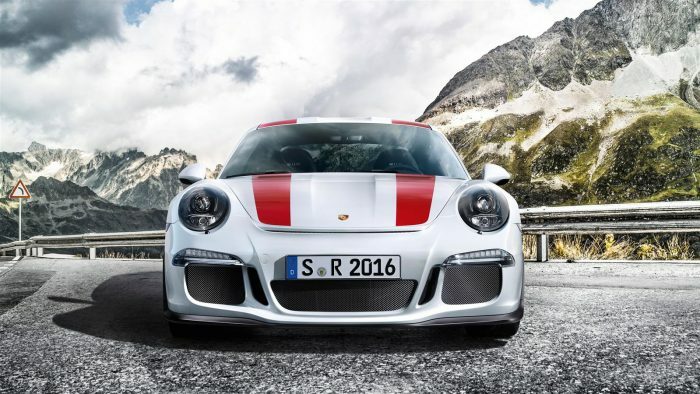 Sticking to their strengths, Porsche has created the most sought after car in its line-up, the 2017 Porsche 911 R. We have seen numerous rumors about this car for a couple of months now and this time we finally get to see it. 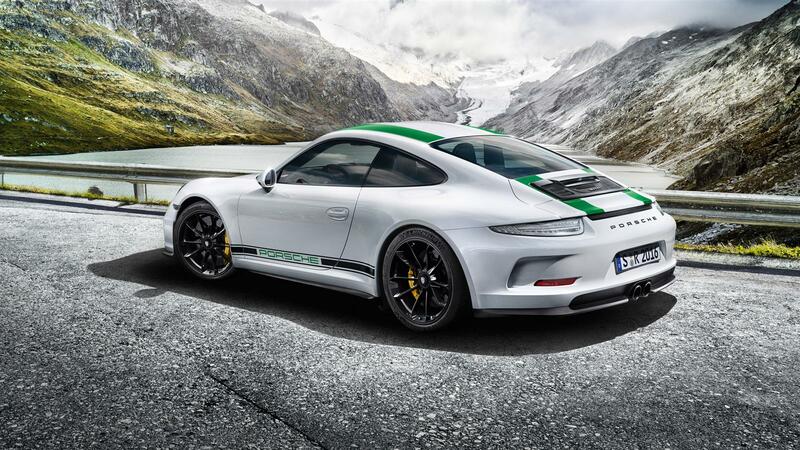 The new Porsche 911 R with 4-litre naturally aspirated flat-six engine with a six-speed manual gearbox is coming to us for sure. It’s lighter and faster with its engines pumping out 493 bhp at 8,250 rpm and 333 lb-ft at 6,250 rpm. 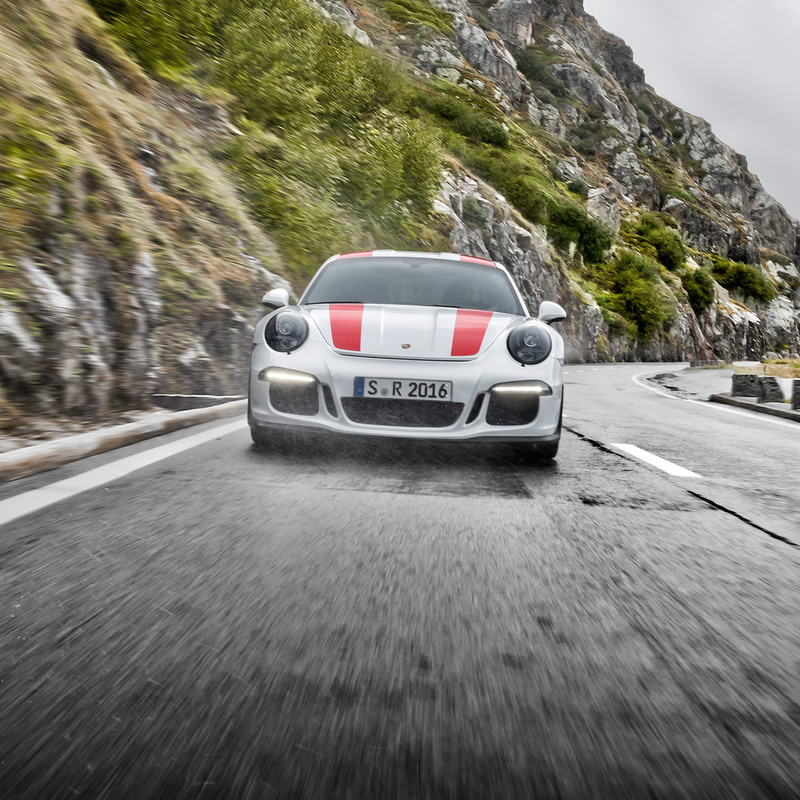 Porsche designed this car for just the thrill of driving. 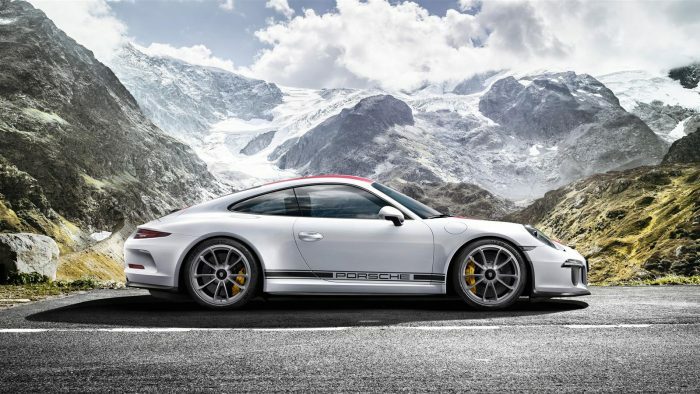 It’s completely different from the GT3 RS with its big spoiler, an overly stiffened suspension and an estranged paddled gearbox that made that car a peculiar choice to many Porsche fans. 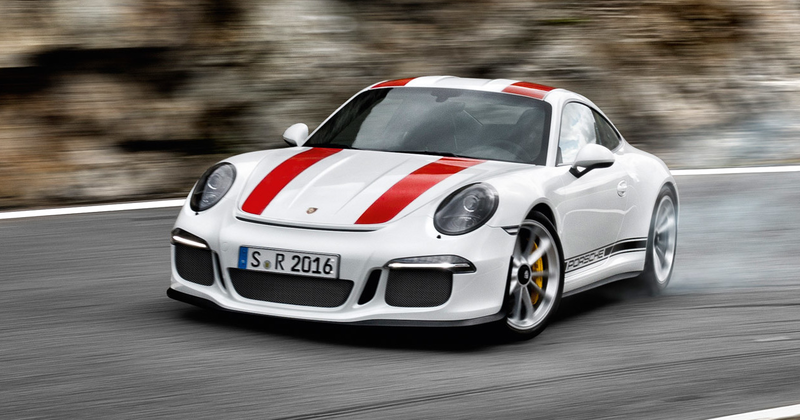 The new 911 R is just a plain car that will absolutely give you a very good time driving. 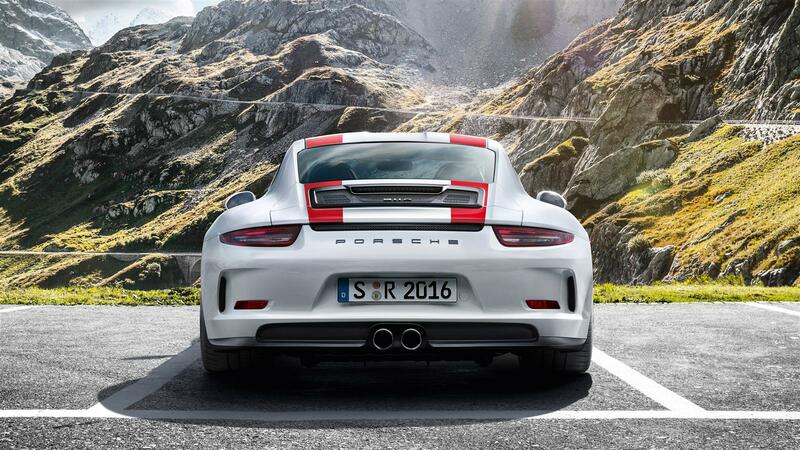 Its body is reminiscent of the Carrera and the engine is pretty much the same from the one found inside the GT3 RS. The 911 R was created to become the best 911 machine. With GT3 RS best suited for tracks only, the 911 R is best suited for people who just want to have fun. 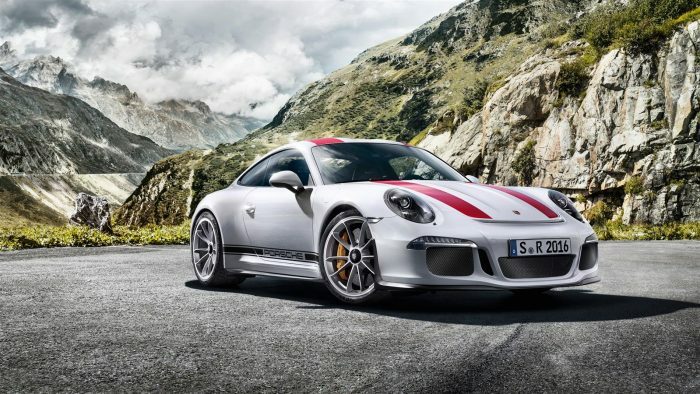 Porsche also designed the 911 R to be lighter by using standard light materials for its polycarbonate rear screen and carbon ceramic brake discs and titanium exhaust. As a result, the car managed shed off about 50 kg of weight. Although, the 911 R’s technical specifications are enough to make you drool, its handling capabilities are equally superb as well. 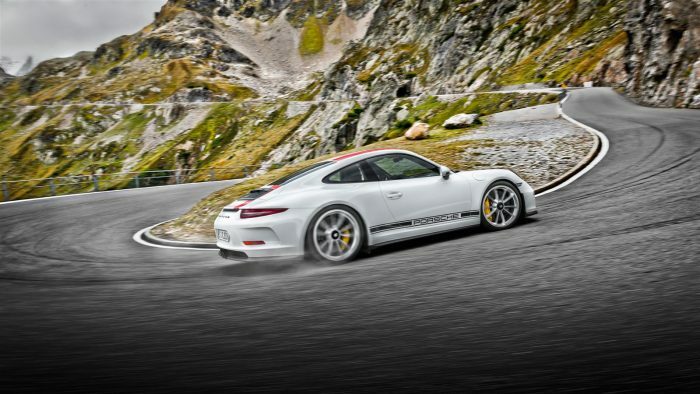 It’s the best 911 right now for corners. It has a reprogrammed steering for both of is front and rear wheels as well as a revised damper. 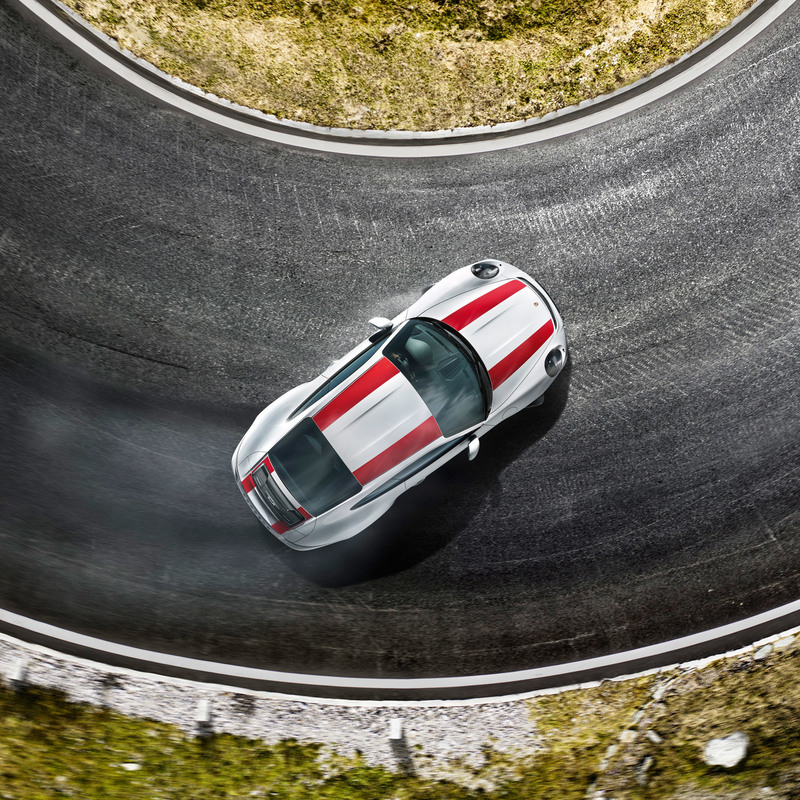 The 911 R will give you more feeling to the front and rear wheels so that when you approach corners with the car, you will be able to push as much as you can without hesitation. 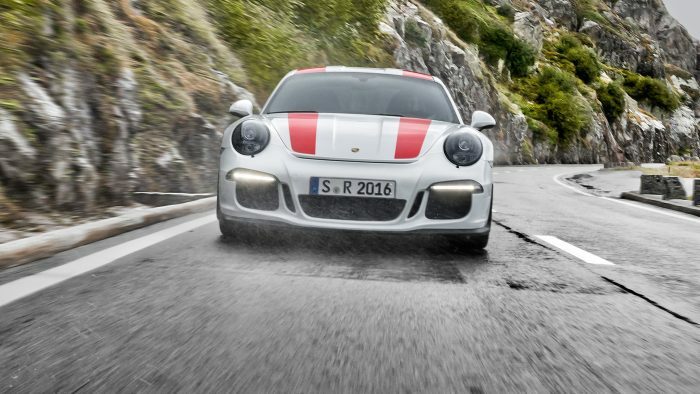 Put it simply, the 911 R is just not about speed and state of the art technology. More importantly, it focuses in giving you a sense of fun and excitement as you up its speed. We can really say that this is definitely one of the most enjoyable and rewarding sports car that you can buy right now. 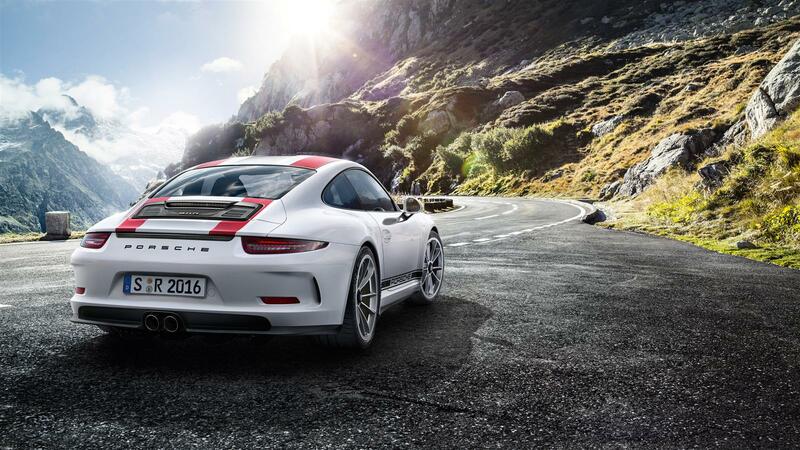 Unveiled today at the 2016 Geneva International Motor Show, the new Porsche 911 R is a pure-bred sports car built to conform to a time-honoured formula; a powerful 500 hp (368 kW) four-litre naturally-aspirated flat-six engine driving the rear wheels, a six-speed manual transmission, and a lightweight body. It is also limited to just 991 examples worldwide. These characteristics place the 911 R firmly in the tradition of its historic namesake: a road-homologated racing car from 1967. 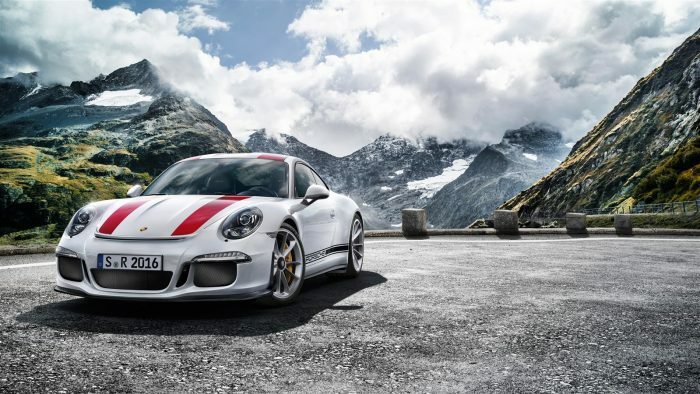 Produced as part of a limited production series, the original 911 R was campaigned in iconic road races of the period, such as the Tour de France and Targa Florio, and also in world record runs. 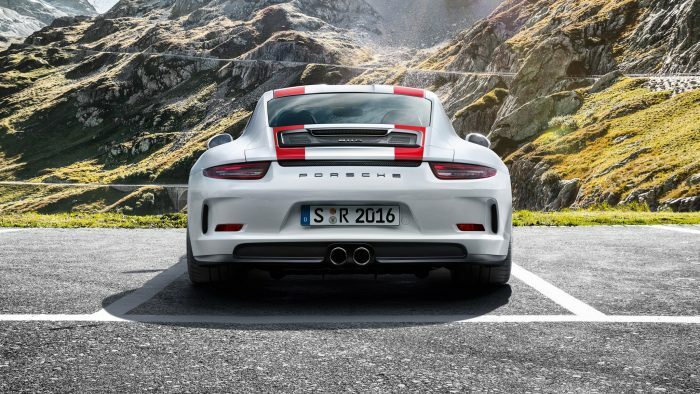 In the rear of the 911 R lies the charismatic flat-six ‘boxer’ engine with a displacement of four-litres, familiar from the 911 GT3 RS. 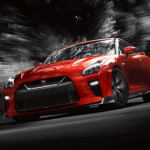 The race-bred engine delivers 500 hp at 8,250 rpm and generates 460 Nm at 6,250 rpm. From a standing start, 0-60 mph is possible in 3.7 seconds. 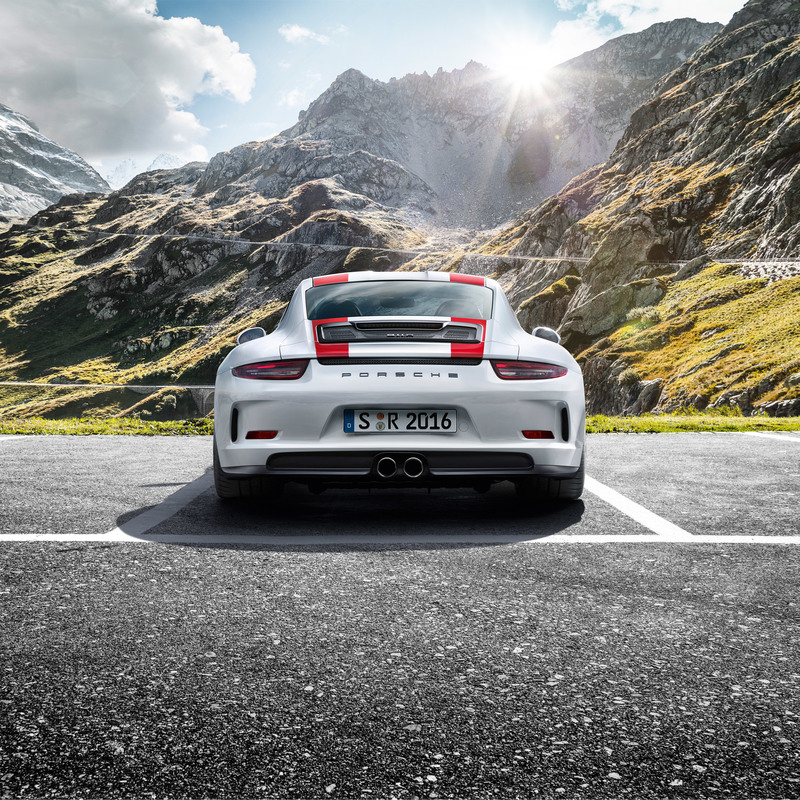 In keeping with the pure character of the 911 R, it is available exclusively with a six-speed manual sports transmission. 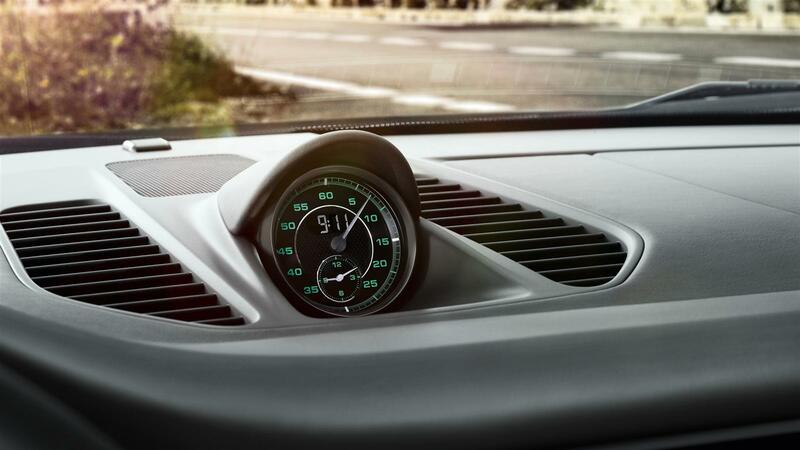 The short gearshift travel emphasises the interactive driving experience. 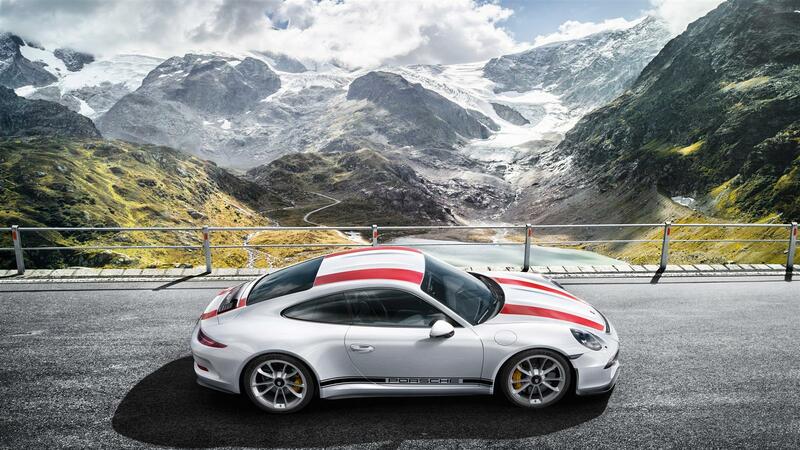 The forward thrust of the 911 R continues to a potential top speed of 201 mph (323 km/h), and Combined NEDC fuel consumption is 21.2 mpg (13.3 l/100 km). 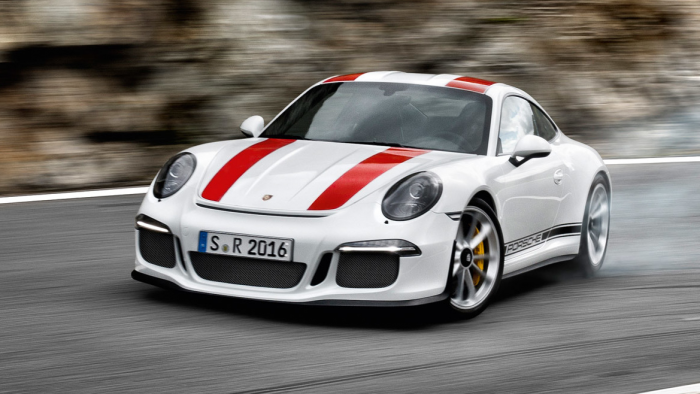 The 911 R could almost have been made for twisting roads. Fitted as standard with specially-tuned rear-axle steering, direct turn-in and precise handling is guaranteed while maintaining high stability. In addition, the mechanical rear limited slip differential ensures maximum traction. Ensuring the greatest possible deceleration are Porsche Ceramic Composite Brakes (PCCB), also fitted as standard. The discs measure a generous 410 mm diameter on the front axle and 390 mm on the rear. Ultra High Performance Tyres of 245 mm width at the front and 305 mm width at the rear provide assured contact to the road. These are mounted on lightweight, forged aluminium wheels with centre-locking and matt-finish. 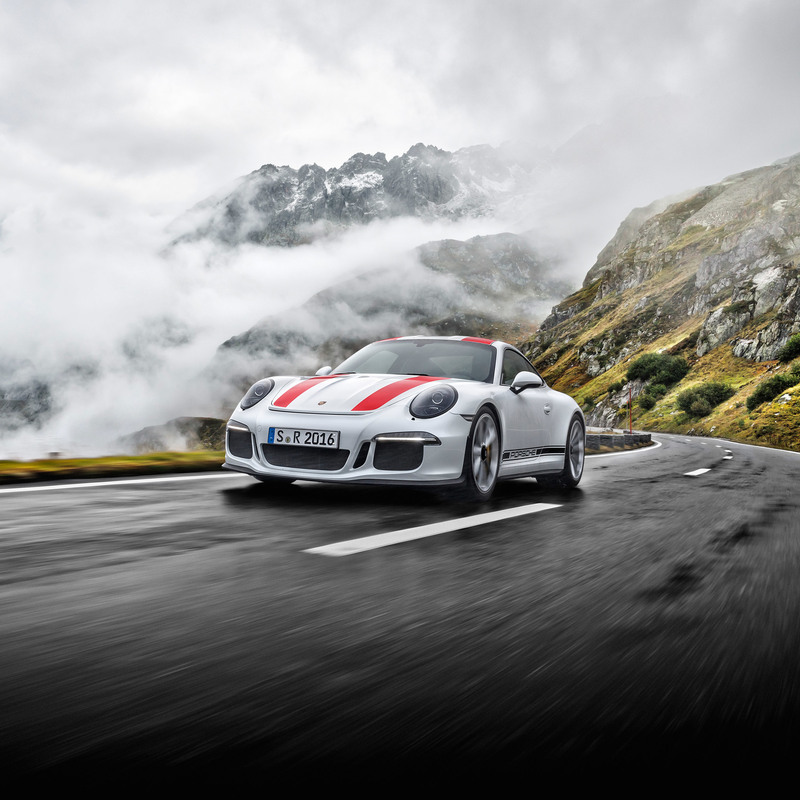 Motorsport development has adapted the control systems of the Porsche Stability Management (PSM) for the 911 R, tailoring the car for a focused and authentic driving experience. An optional single-mass flywheel for the engine is one example of this, resulting in a significant improvement in spontaneity and high-rev responsiveness of the engine. 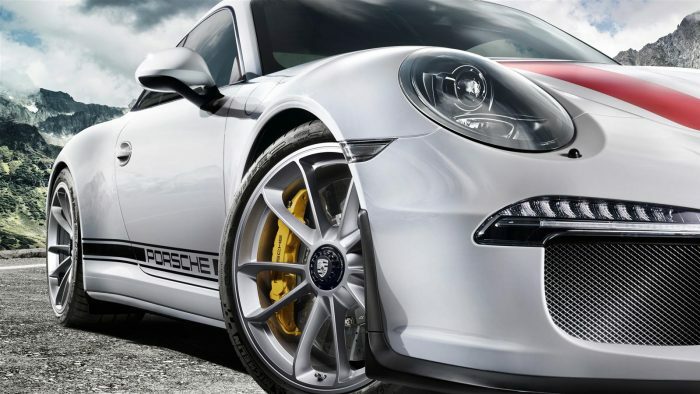 A double-declutch function – activated by pressing a button – for perfect gearshifts when changing down is also part of the repertoire of the 911 R.
For broad everyday versatility, a lift system can also be ordered: it raises ground clearance of the front axle by approximately 30 mm at the touch of a button. 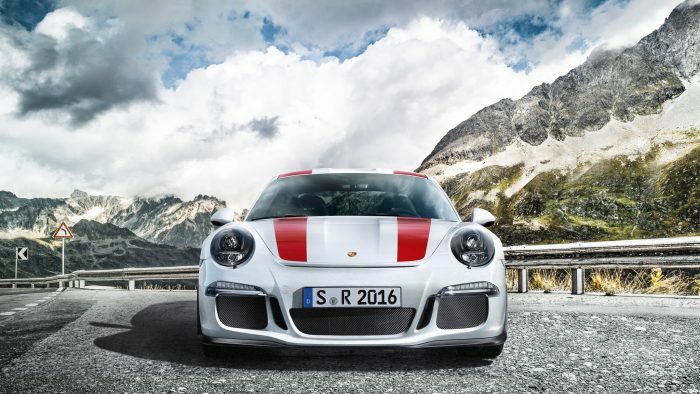 With an overall weight of 1,370 kg, the 911 R undercuts the 911 GT3 RS by 50 kg. The bonnet and front wheel-arches are made of carbonfibre and the roof is magnesium, which reduces the centre of gravity. Rear windscreen and rear side windows are lightweight plastic. Additional weight-saving factors are the reduced sound insulation in the interior and the omission of a rear bench seat. The optional air conditioning system and the audio system also hint at the intense slimming regime. All the lightweight components of the body and the complete chassis originate from the 911 GT3. However, with a view to road use, the body does not have the fixed rear wing familiar with that model. Instead, a retractable rear spoiler shared with the Carrera models and a bespoke aerodynamic diffuser beneath the rear underbody provides the necessary downforce. 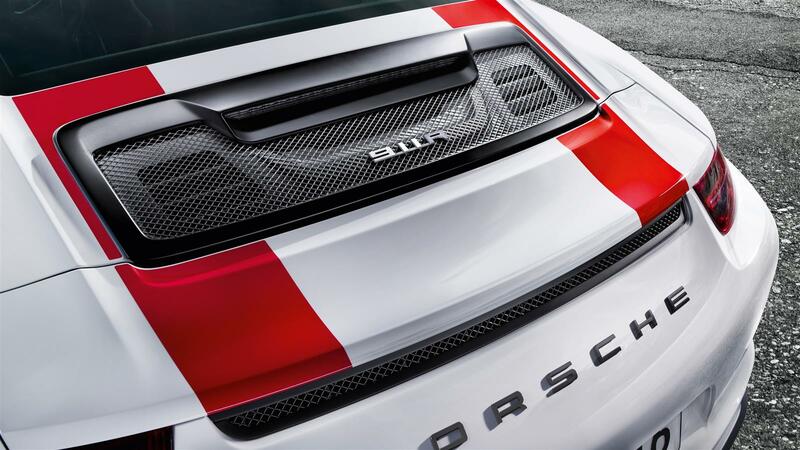 The front and rear apron come from the 911 GT3, with a re-designed spoiler lip installed on the front. 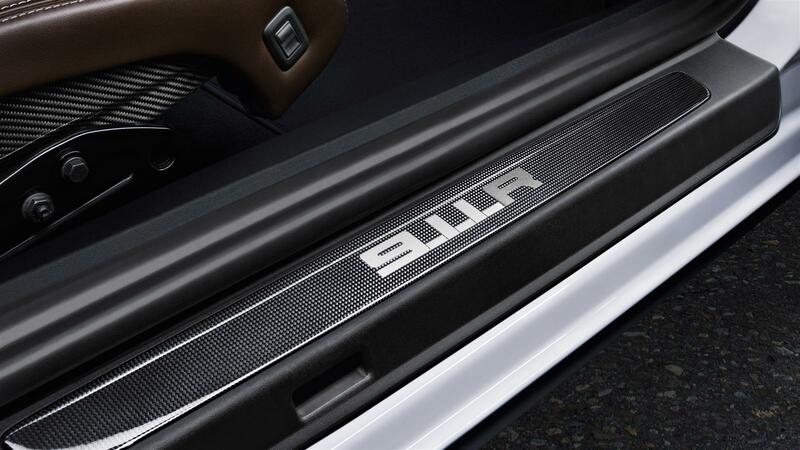 The sports exhaust system consists of the lightweight construction material titanium. Continuous coloured stripes in red or green over the entire mid-section of the vehicle provide a visual cue to the legendary predecessor. 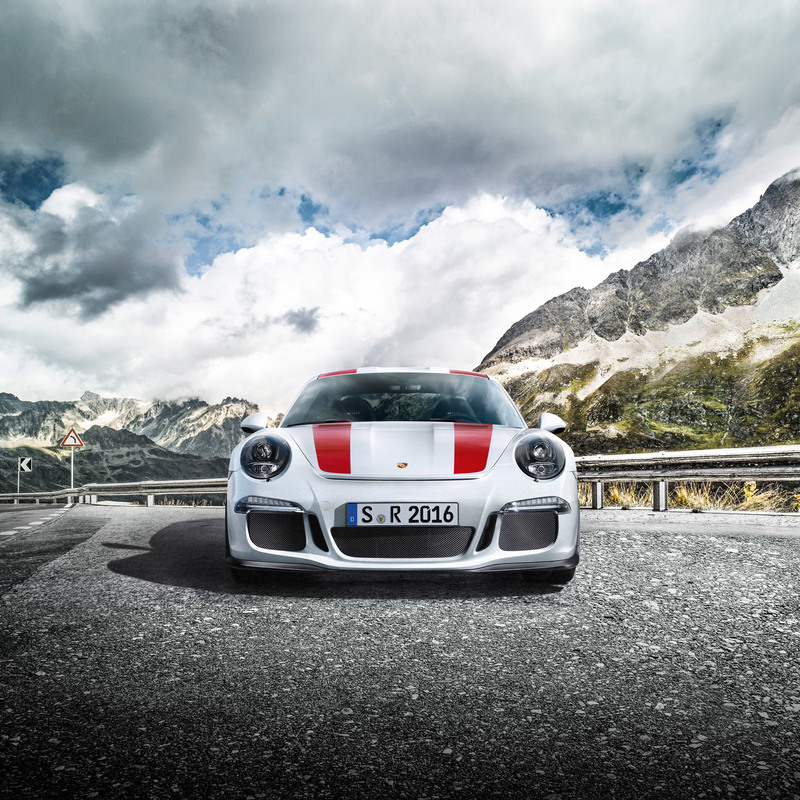 A further leitmotif is provided by the ‘Porsche’ script along each side of the vehicle. The driver and front passenger sit in a carbon-fibre bucket seat, trimmed with bespoke fabric centre panels in Pepita tartan design, a nod to the first 911 in the 1960s. 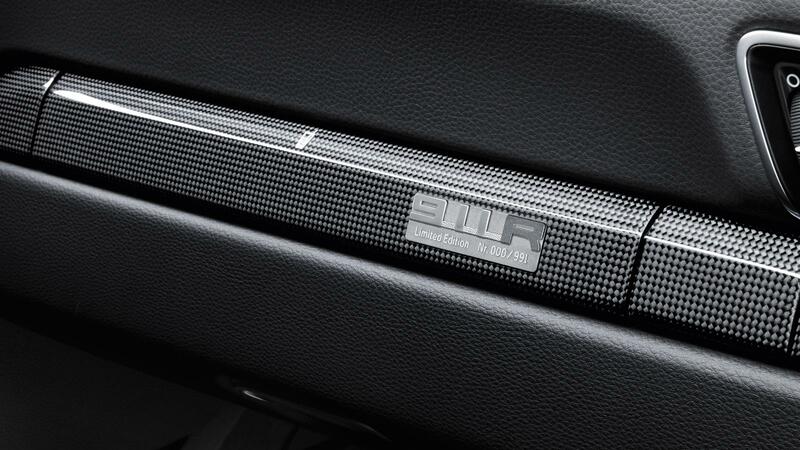 Fabric pull straps on each door are a familiar hint to the focused intent of all 911 models from the GT department. Ahead of the driver sits an R-specific 360 mm diameter GT sport steering wheel, and a short shift gearlever – not to mention the obvious clutch pedal in the footwell – contribute to the specific interior ambience. 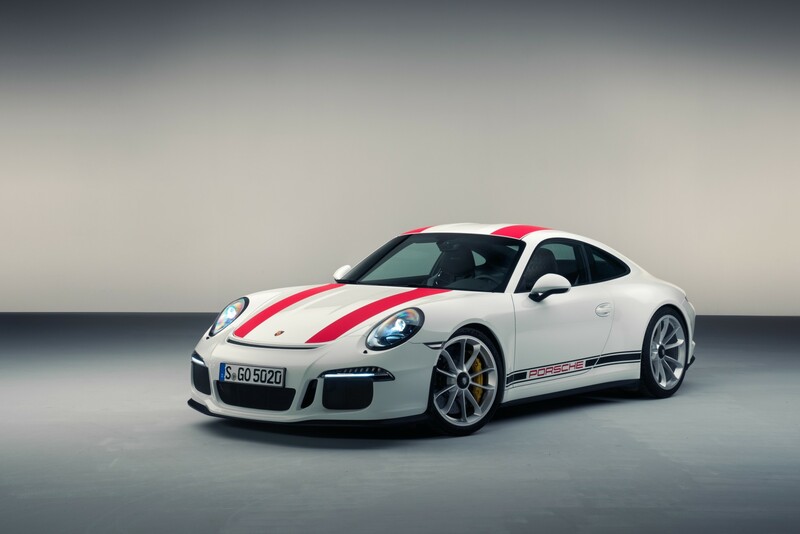 And underlining the special nature of this limited production model, carbon trim strips in the interior with an embedded aluminum badge on the passenger’s side indicate the limited number of each 911 R.
The new Porsche 911 R is available to order from today in Porsche Centres in the UK and Ireland, priced from £136,901. 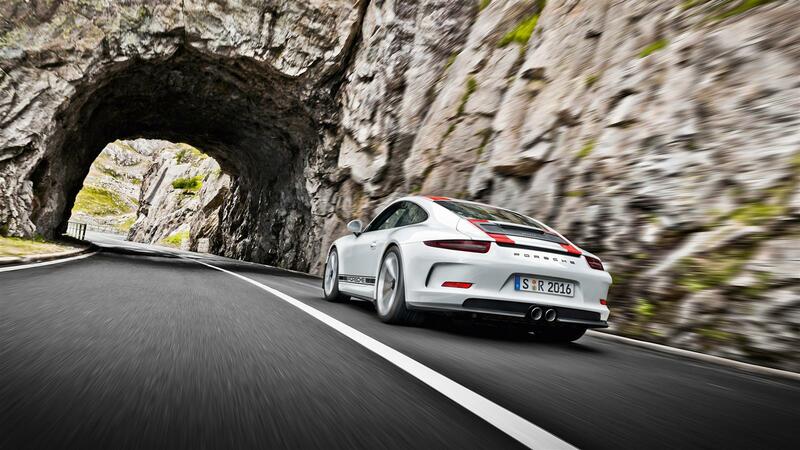 Limited to 991 units worldwide, first UK deliveries are scheduled for June. 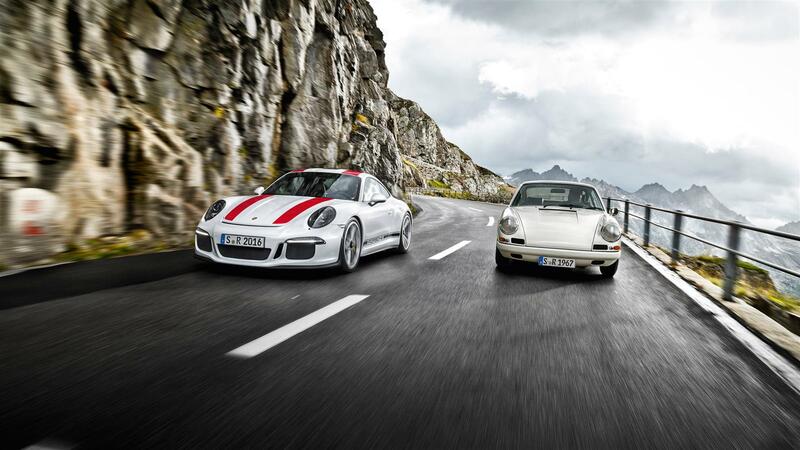 The 911 R is arguably the ultimate road-focused 911 in the 53 year history of the model. 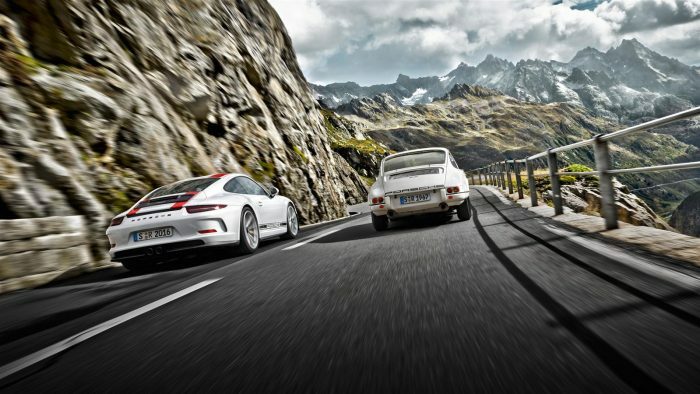 It is certain to be appreciated by long-standing fans of the 911, and in particular those customers that have consistently owned, lived with and driven successive generations of this iconic sports car.